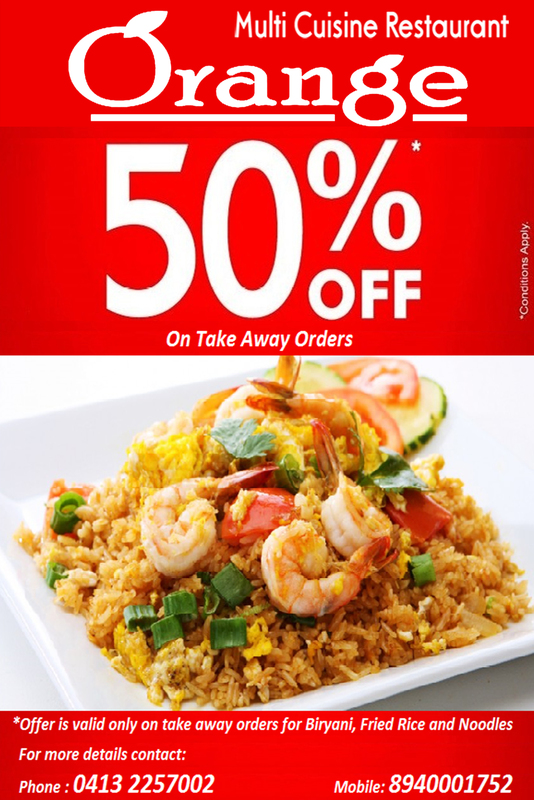 *Offer is valid on take away orders for Briyani, Fried Rice and Noodles. Plot No. 14, ECR Road, Near Krishna Nagar Water Tank, Lawspet, Puducherry-605008.